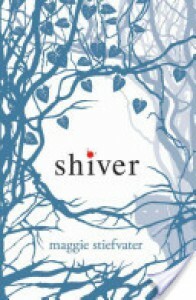 The authorMaggie Stiefvater was born on the 18th of November 1981 in Harrisonburg Virginia. She has a BA in history from Mary Washington College. She has pursued various careers as a calligraphy instructor, wedding musician and technical editor. She is specialized in equestrian art, with work that is recognized on the international collection market. At the moment she is spending all her time writing her books. She is married and has two kids. The reviewFrom all the mythical creatures I think I find werewolves the least attractive and interesting. Still I heard a lot of good things about this book and in a way the synopsis did appeal to me so I thought to give it a chance for a series challenge. After finishing this book I am left with mixed feelings. Once I was two third trough the book I was sure it was going to be a 2 star story and even doubting that I would read the other two books in this series. At that point I entered a very beautiful written part of the book which actually touched me and made me reconsider my stars and if I would give the other books a chance. Unfortunately this was a bit lost again at the end. Overall the book did not really touch me though there where a lot of emotional things happening. I had the feeling the author was not sure what she wanted with the intimate scenes between Grace and Sam. She build up a lot of tension but nothing really happened and though the author tried to make it that both Grace and Sam where not sure how far they wanted to get emotionally attached to each other to me it felt more that the author could not make up her mind how far she would take things.I had expected a more solid story than I read. Still I will give it three stars cause it did really touch me at one point and I could feel the struggle and the possibility of loss and how that would feel but I am not very enthusiastic about the whole thing. I will continue with the series for now hoping the second book holds a more steady story after the first.